1. A tricked-out pool for a splash in a flash. Get it on Amazon for $39.13. 2. A literal trampoline waterpark attachment to really make your own childhood dreams come true. 3. A game of cactoss (if flying metal horseshoes plus children doesn't have a nice *ring* to it). Get it on ModCloth for $24.99. 4. 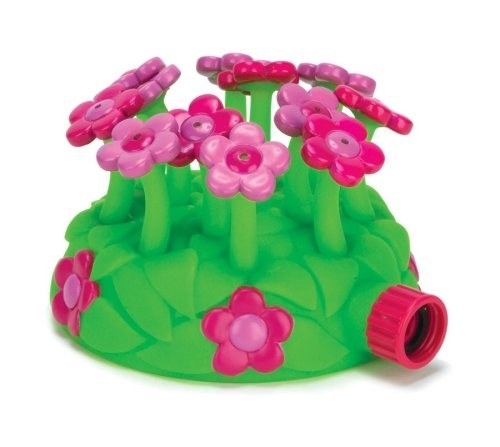 A patch of flowers so both you and your kid can have an afternoon spritzer. Get it from Amazon for $17.72. 5. An inflatable bouncer for a *crash course* in sumo wrestling. Get it on Jet for $59.99. 6. An inflatable soccer field, because building a stadium might take a little longer than the summer. 7. 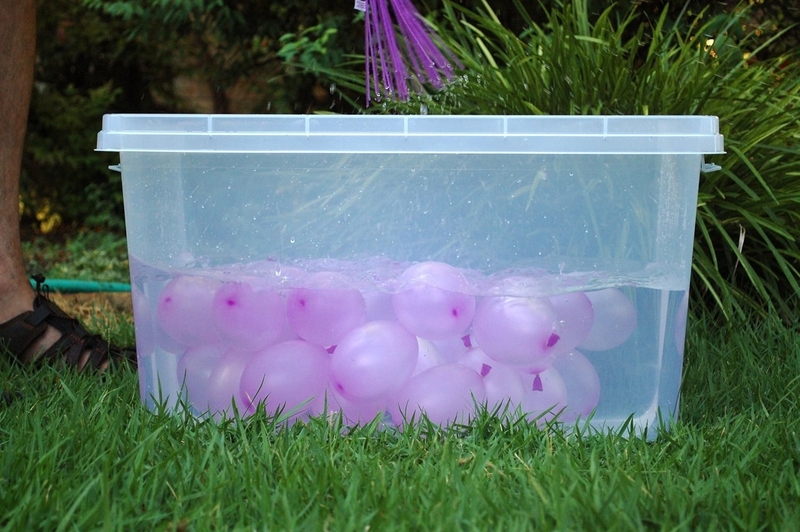 A group of balloons that fill 100 at a time for a battle you've waited for your whole life. 8. A larger-than-life drawing stick if your kid walks the walk and chalks the chalk. Get it on Uncommon Goods for $15. 9. 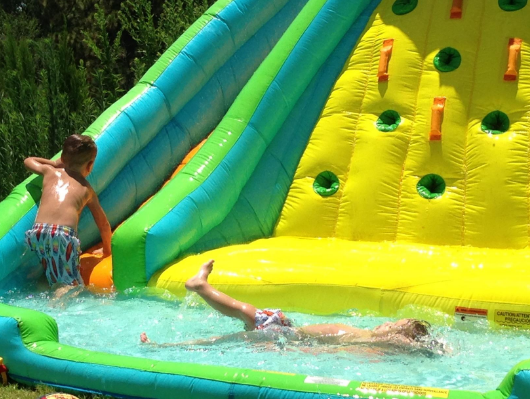 A blow-up waterslide to save your budget from going down a slippery slope. 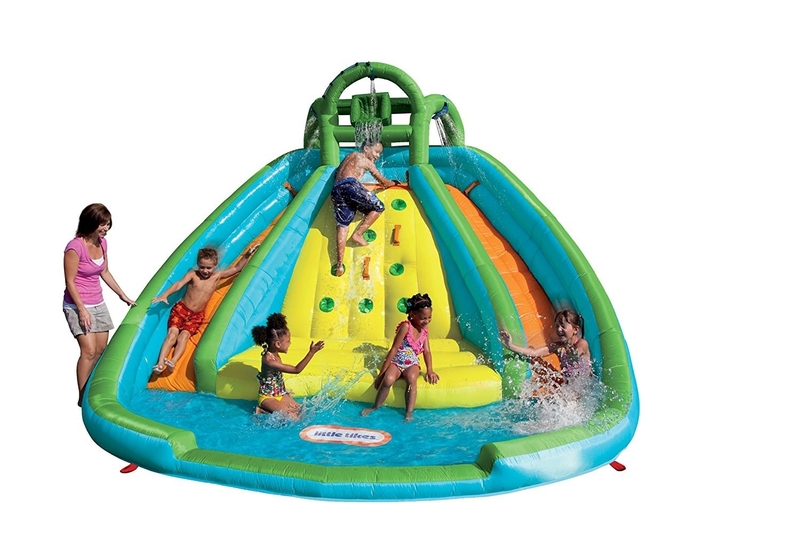 Promising Review: "We purchased this slide for our 8-year-old's birthday party. 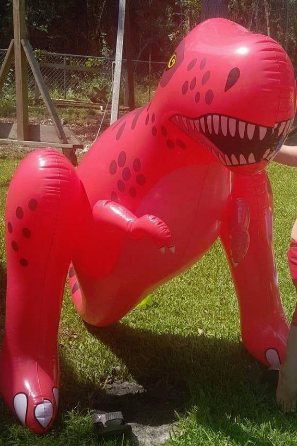 Half the price of a bounce house rental, and we get to keep it. I was concerned whether it could take the abuse, but it held up well. Thick material and looks well-constructed." —Matt C.
Get it on Amazon for $88+. 10. A gaping fish who'll gargle your baby, but in a good way. Get it on Amazon for $17.75. 11. A Rocky Mountain River Race... without the long car ride to an amusement park. Get it on Amazon for $392.75. 12. A glow-in-the-dark game of capture the flag so the party doesn't have to stop once the sun goes down. Get it on Amazon for $59.90. 13. A floating basketball hoop for a big ~swam dunk~. 14. An ice cream truck that you and your tyke don't have to run after. Get it on Uncommon Goods for $69. 15. A classic see-saw, because ain't no good days like the old days. 16. A monster swing with enough support for the whole litter. Get it on Amazon for $88.26. 17. 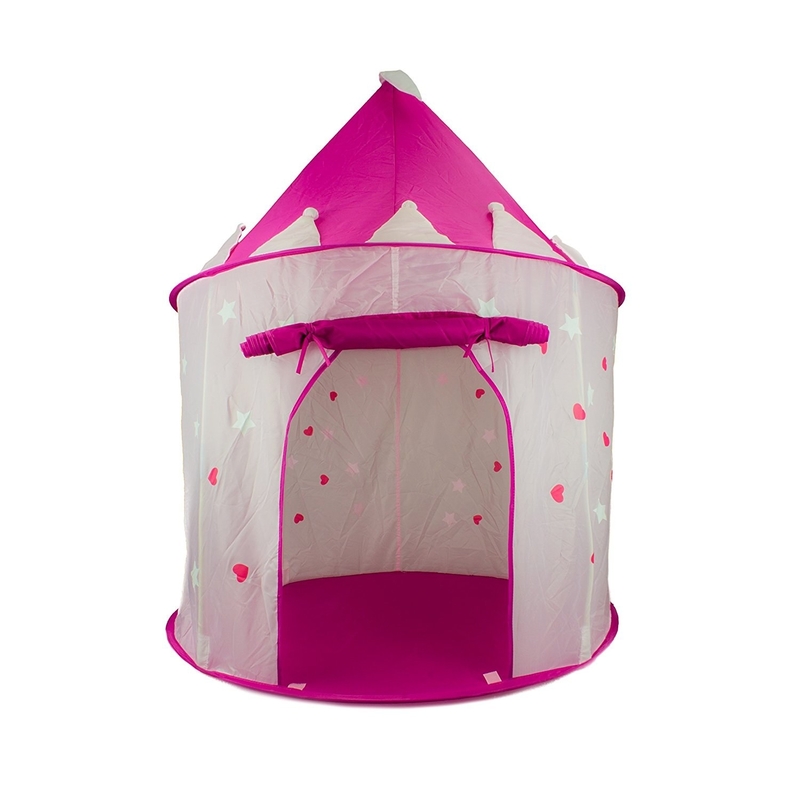 A princess play tent so your majesty can reign over her land properly. 18. A pool volleyball net that saves the soft serve for the ice cream man. 19. 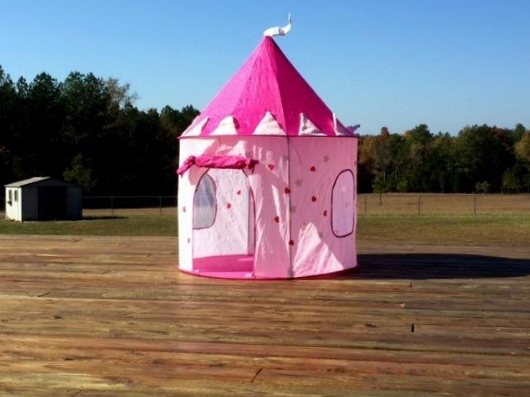 A 12-foot parachute as the simplest solution to entertaining the kids for hours. Get it on Amazon for $17.98. 20. 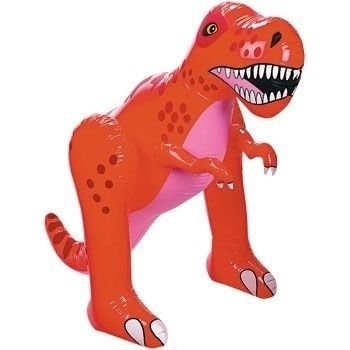 A towering T-Rex who thankfully does not have a taste for children. 21. A shaded pool with a mister so scorching summer days don't slow you down. Get it on Amazon for $139.59. 22. 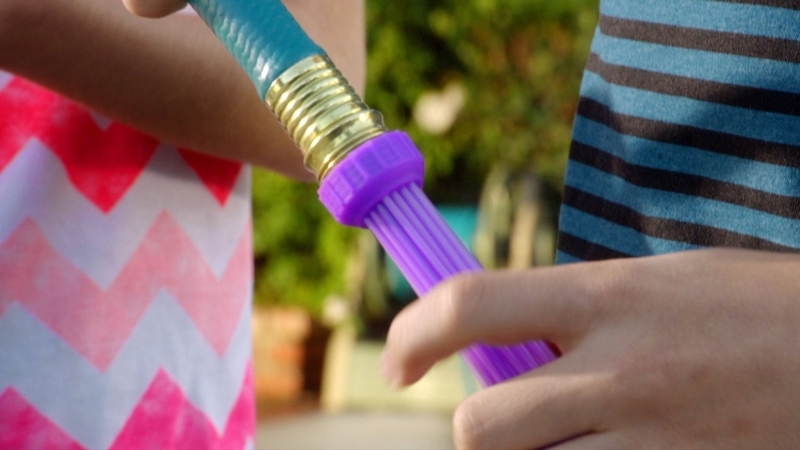 A giant wand and mix for bubbles larger than your own children. Get them on Amazon for $16.45. 23. 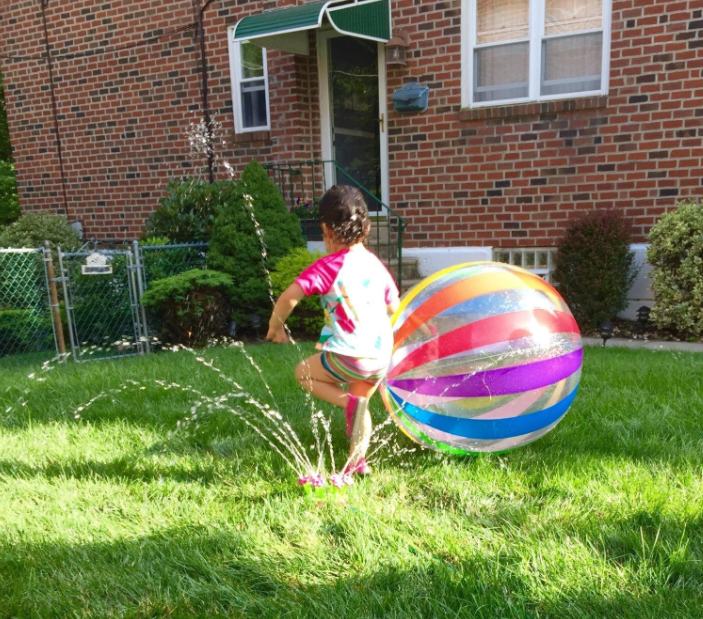 A swirling sprinkler that'll send your kids twirling. Get it on Target for $12.99. 24. A couple of UFOs as a super-galactic battle without NASA's budget. Get a two-pack on Amazon for $54. 25. A water arcade without any required tickets or creepy life-size rodent (here's looking at you, Chucky). Get it on Target for $32.49. 26. A mini rollercoaster for your little adventurer's ride of their young life. Get it on Amazon for $257.99. Time to get the kids off the couch.